The Queensland Academies Health Sciences Campus (QAHS) opened in 2008 and is a state selective senior secondary school located on Queensland's Gold Coast. All students undertake the International Baccalaureate Diploma Programme. 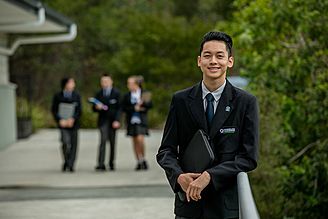 Our Mission: We are dedicated to empowering Queensland's brightest students in a collaborative, supportive educational environment to realise their potential through a world class curriculum, with outstanding educators and excellent facilities. As a school where all students study the IB Diploma Programme, our focus is on ensuring students maximise their IBDP experience. 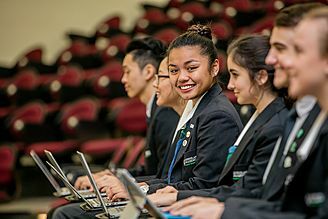 Our students are highly successful not only in terms of the IBDP but also across an extensive range of local, state and national academic competitions including Peter Doherty Science Awards, CREST, ICAS, Australian Mathematics Competitions, Science Olympiads, BHP Billiton Science Competition, Language Perfect, Australian Business Week and the Stockholm Junior Water Prize. In partnership with the adjacent Griffith University Gold Coast campus, students gain university course credits and enrich their studies in areas including the Sciences, Humanities, Business and Health. Queensland Academies are the top performing schools in Queensland. 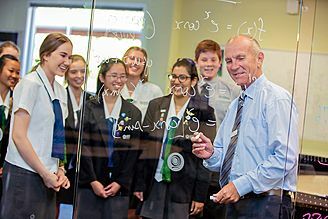 The QAHS suite of IB subjects is consistent with the focus of our Academy and the IB's liberal education provision: English, French, Mandarin, Business, Psychology, Biology, Chemistry, Physics, Mathematics, Music. Our students engage in a rich and broad Creativity, Activity and Service program and can complement their CAS journey by undertaking a Certificate III in Active Volunteering through Volunteering Queensland Inc. and QAHS. 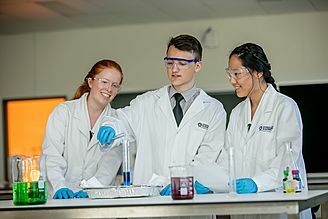 With a focus on the Sciences, students may also undertake an industry standard Certificate III in Laboratory Skills with Southbank Institute of Technology and QAHS.. Our students' Extended Essays have been enormously successful not only for the students' IB results, but when entered in a range of local, national and international academic competitions. Students at QAHS are challenged, supported and recognised for their commitment to demonstrating the attributes of the IB Learner Profile.